XVth International Memorial of Włodzimierz Strzyżewski of Ringowas organized annually in Warsaw, in the place where the sport was born, again proved to be a real feast of Polish ringo. The annual event for 15 years draws the best players from Poland and abroad and is considered to the international rank of players. Among the participants do not run out of stars years ago, who still had the pleasure to compete on the court with the creator of the sport- Włodzimierz Strzyżewski. During the opening ceremony the president of the Polish Association of Ringo honored with commemorative statues deserving activists ringo "with thanks for many years internship start and organizational activities for the development of ringo in Poland and the world." Warsaw Society Ringo on the occasion of 25th - anniversary of its activity honored deserving activists in Warsaw. In the open category women won Ada Trawczyńska (Poland) and among men Viachaslau Chuduk (Belarus), the oldest being played category triumphed Wladyslaw Kolanowski. 44th International Polish Championship in Ringo played in the Pułtusk at the city stadium. The competition brought together leaders of ringo players of the leading centers from Poland, Belarus and Germany. The competition took place in 16 individual categories and 6 double categories. Sunny and hot weather that accompanied the players was a difficult and selective test for the players. Polish Society Ringo congratulates champions, medalists and all participants of the Championship. 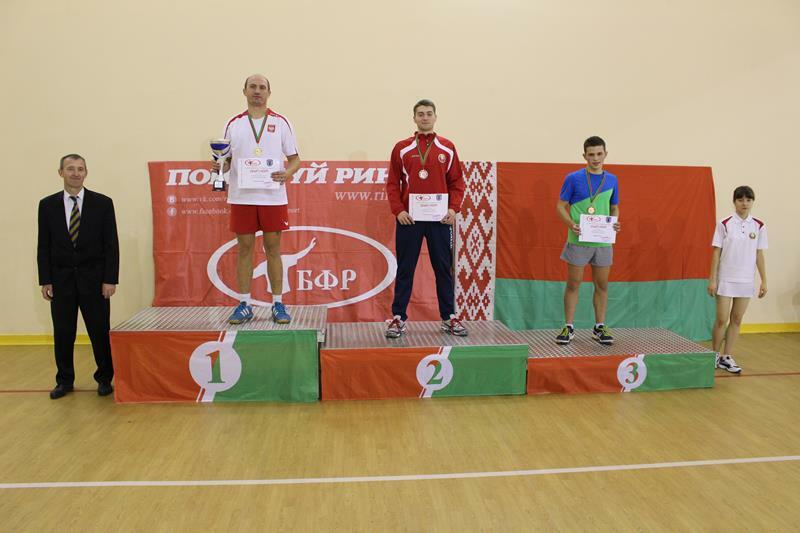 On 7 – 8th November in Minsk (Belarus) was played the XIV International Tournament in Ringo. In tournament competed ringoplayers from Belarus, Russia, Kenya, Poland. On the first day they were played singles and doubles in the open category. Among men won Andrzej Teklak from Poland, second and third place was taken by Belarusians: Vyacheslav Chuduk and Igor Schurko. In the women's competition the victory is among Belarusians, first place was taken by Natalia Kutasova, the second - Anna Yatsevich, the third - Tatyana Denisova. In the women's doubles at the first step of the podium stood Inna Wilczyńska and Natalia Kutasova, the second was Tatyana Denisova and Agata Raková- Belarus, third in the Belarusian-Russian pair Alexandra Spirin and Tatiana Sizeva. Unexpectedly in the men's doubles won Andrei Conon and Mikhail Zhebrovich (Belarus) before Paul and Vyacheslav Chuduk (Belarus), third place was taken by representatives of Poland: Andrzej Teklak and Hubert Komorowski. 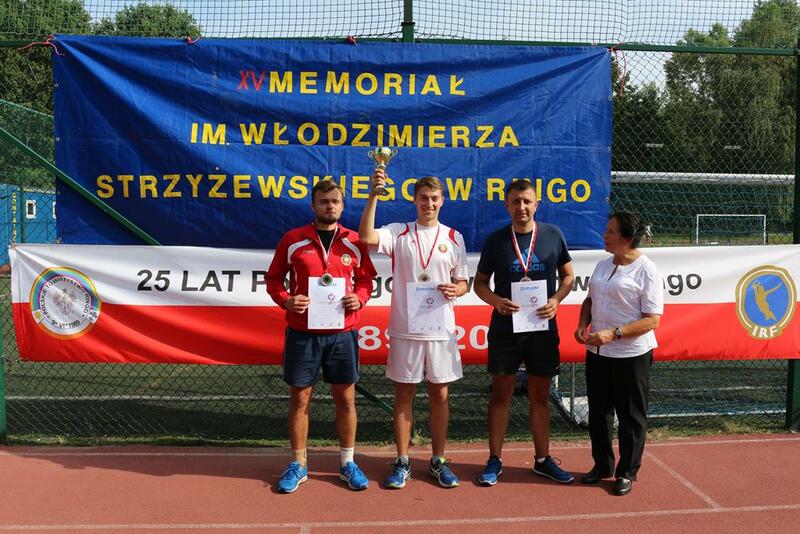 Memorial of Włodzimierz Strzyżewski is one of the most prestigious tournaments in the ringo, it is also a unique atmosphere, which creates a multigenerational mix of players practicing Polish sports - ringo. In this year's 14th edition competed lead of ringo players from Poland and representation of Belarus. 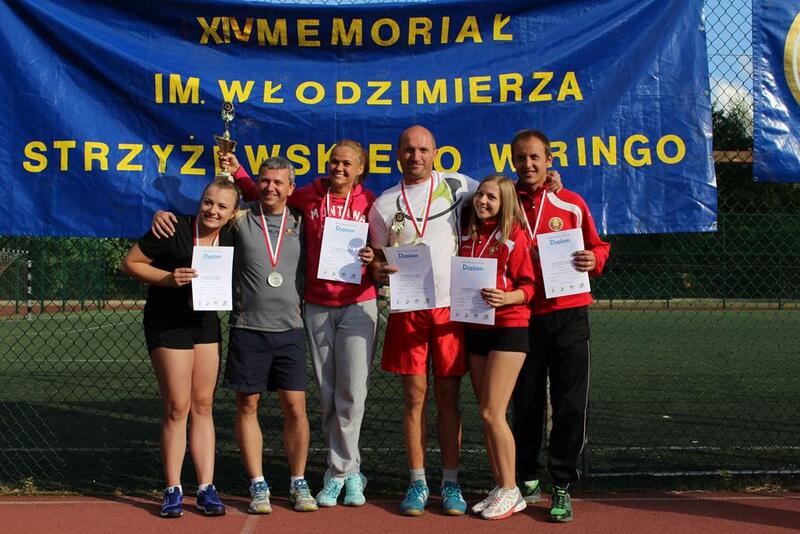 The tournament was played on September 5th at the sports facilities on the Andriolliego street in Warsaw. 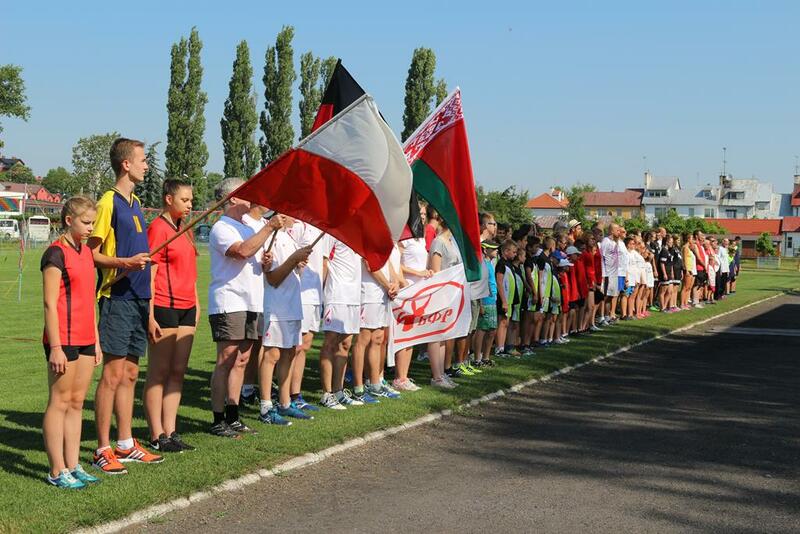 43th International Polish Championship in Ringo played in Krakow at the stadium KS Bronowianka 27th June 2015. The competition brought together leaders of ringo players of the leading centers of playing ringo from Poland and representation of Belarus, Czech Republic, Slovakia and Germany. 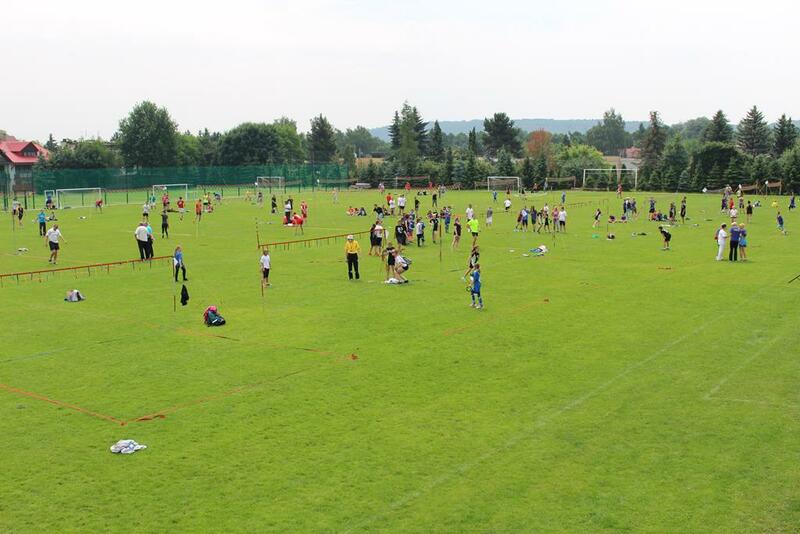 The competition took place in 18 categories of individual games, 4 categories of double games and triplet children under the age of 13. Ringo players to noon competed in the individual games, in the afternoon were played doubles. Championships were difficult and selective test for the players.